Robotic needle insertion is coming. HANDS-OFF, MORE ACCURATE, LESS PAINFUL. Most needle insertion procedures, such as getting blood drawn or having an IV placed, are performed without image guidance. For patients, this often has painful consequences. 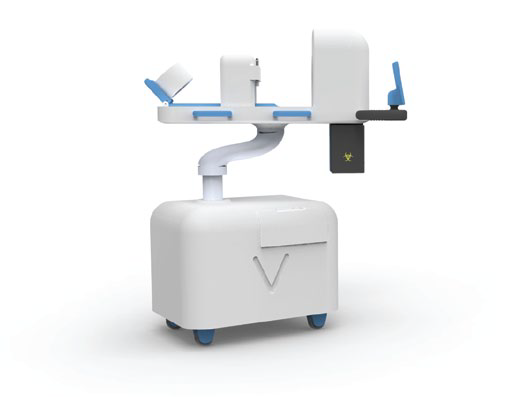 At Veebot, we are committed to perfecting needle insertion procedures using image guidance and robotics to eliminate the guesswork. We believe this will make for a better patient experience and facilitate diagnostics and care outside of a traditional medical facility. We have developed autonomous, image-guided robotic needle insertion capabilities. We will apply this to vascular access and biopsy needle insertion procedures to improve outcomes and give patients the care they deserve. Click to learn more.